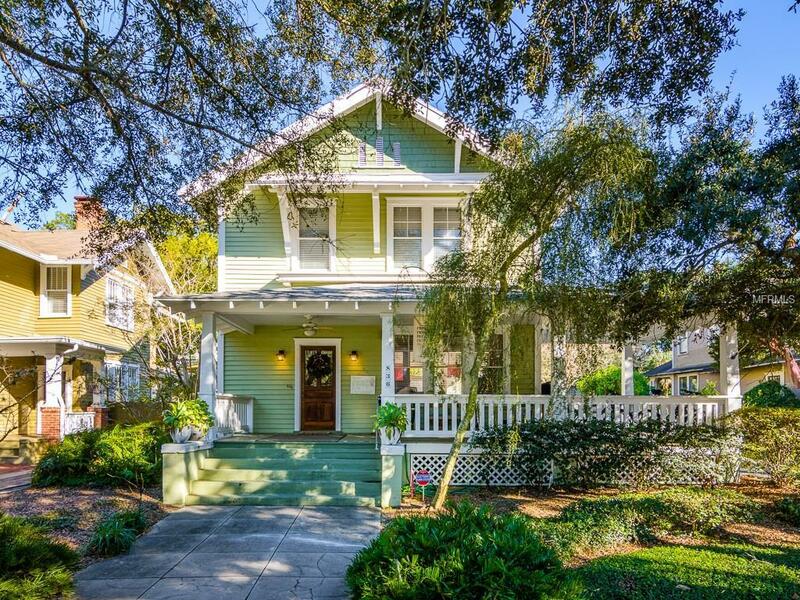 Historic Hyde Park 1918 Craftsman style home is just steps from Hyde Park Village & famed Bayshore Boulevard. The main house offers 1,952 SF of living space and is filled with character and period details. As you enter you are greeted by a spacious foyer with adjoining formal living room with a stately gas burning fire place & wood boxed ceiling. An abundance of windows offers a bright and airy feeling as you walk through the rooms accented with custom cabinets, crown molding & wainscoting. The dining room is spacious and overlooks the back deck & patio through French Doors. First floor bedroom & full bath can serve as a guest room, office or studio. The kitchen has granite counter tops, & stainless-steel appliances. A wide-open staircase leads to the second floor where you will find the master bedroom & en suite bath with laundry closet. The two additional bedrooms & full bath featuring a claw foot tub are sure to please. The property features a pool with spa and a 753 SF carriage house that is being used as a rental. An additional separate storage shed can be used as a workshop or garden/pool house. Improvements include updated foundation, wiring, plumbing and new exterior wood siding. Surrounded by lush tropical foliage the front veranda is the perfect spot to relax and enjoy the ambiance of the neighborhood. Top rated Gorrie &Wilson Schools are within a short walk. Enjoy strolls to Hyde Park Village, Kate Jackson Park, Bayshore Boulevard, & downtown's River Walk.